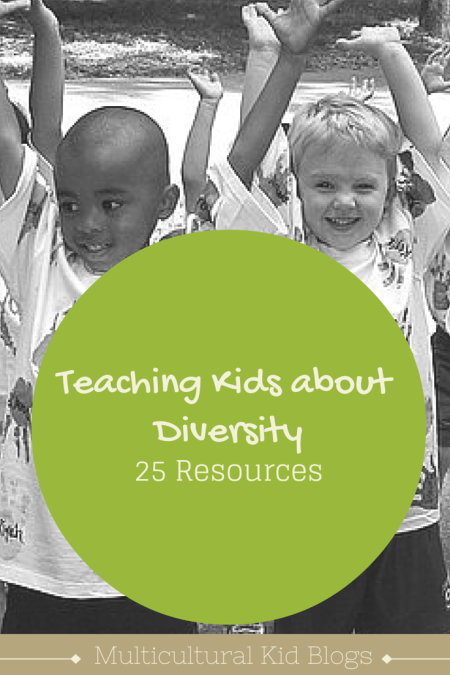 Teaching our kids about diversity is crucial but not always easy. We all want kids who are globally minded and not just tolerant of but accepting of differences–kids who see the colors and textures of the world and its peoples for all their beauty. But the world will teach our kids other lessons about diversity and race when they are out in it, and it likely won’t be the positive, peace-and-love messages we hope they will receive. That’s why it’s critical to have our own conversations with our kids about our skin color differences and all forms of diversity, including our cultural and ethnic backgrounds, languages, disabilities and sexual orientation. Conversations about diversity at home will help equip kids with the tools they need to make sense of things they will hear and see in the world. Approaching Diversity Education with Kids–it starts with the parents! Reading diverse picture books with kids, including books that talk about race, is a great starting point for opening up conversations about all types of diversity. Here are a few suggestions. In honor of Martin Luther King Day this month, here are a few books to help our kids learn about leaders around the world who have worked for civil rights, justice and peace. Martin Luther King: A Picture Book of Martin Luther King, Jr.
It’s also important our kids see diverse characters when they watch TV. Here are a few recommendations. More suggestions for kid-friendly foreign films from author Homa Tavangar can be found here. Bino and Fino is an excellent children’s cartoon created in Nigeria. More suggestions for diverse cartoons can be found here. Please feel free to add some articles and resources you have found helpful in the comments. Stephanie is the Founder and Editor-in-Chief of InCultureParent. She has two Moroccan-American daughters (ages 6 and 8), whom she is raising, together with her husband, bilingual in Arabic and English at home, while also introducing Spanish. After many moves worldwide, she currently lives in Berkeley, California. Great resources and article. Thank you so much! Thanks for these resources, this is important and yet very difficult to discuss. It helps to have options! My kids are multi-cultural and I want them to be able to not only stand up for themselves but also to stand up for others different from them.